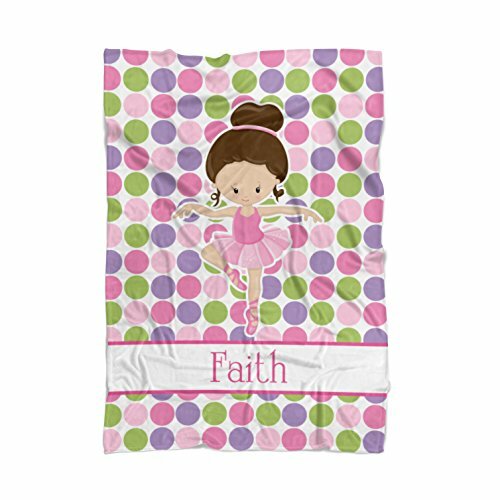 My Personalized Blankets are soft and warm, perfect for all ages! Give a child you love, the gift of a personalized Blankie! And with several sizes to choose from, it's perfect for kids of all ages! You can also add a matching back! Make your blanket double sided with warmth and fun on each side! Blankets are made with a Minky Fleece. It is a light weight posh fabric which is 100% polyester and unbelievably super soft. Your design will appear on the top side. Bottom side will be soft and solid white (If double sided, then design will appear on both sides). We use ecofriendly water based dyes that do not fade or alter the texture of the fabric during our manufacturing process and are safe for baby. 1) Purchase the design(s) you like and fill in all the customizations. 2) You will receive a proof via e-mail within my posted turnaround time. You can request any changes. I will make revisions until it's perfect! 4) Your blanket will be made and shipped to you within my posted turnaround time. 5) Give the blanket to your loved one and watch them enjoy it! If you have any questions about this product by PurpleBerryInk, contact us by completing and submitting the form below. If you are looking for a specif part number, please include it with your message.